The Phnom Penh Municipal Court has decided to put opposition leader Sam Rainsy on trial as an accomplice to forgery and incitement, and has closed its investigation into a case against his deputy, Kem Sokha, charging him for refusing to heed court summonses, according to documents made public on Thursday. Mr. Rainsy, charged alongside two of his social media managers in relation to a video posted to his Facebook page featuring opposition Senator Hong Sok Hour, faces up to 17 years in prison, while the charge against Mr. Sokha carries up to six months’ imprisonment. 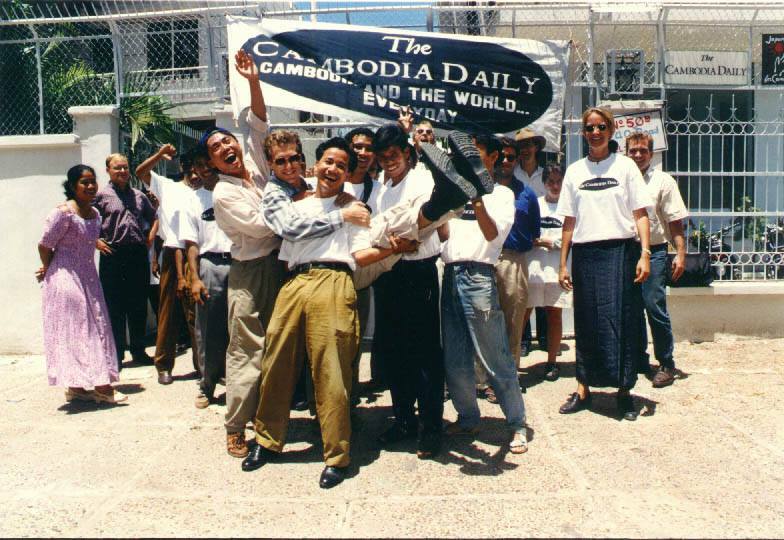 Mr. Rainsy is currently living in France to avoid a separate two-year sentence for defamation, while Mr. Sokha has been ensconced in the CNRP’s Phnom Penh headquarters since police attempted to arrest him on May 26 for skipping court. In a letter dated July 28 and delivered to the CNRP’s headquarters on Thursday, Investigating Judge Kor Vandy says Mr. Rainsy and his assistants—Ung Chung Leang, 26, and Sathya Sambath, 21—will have their case sent to trial. 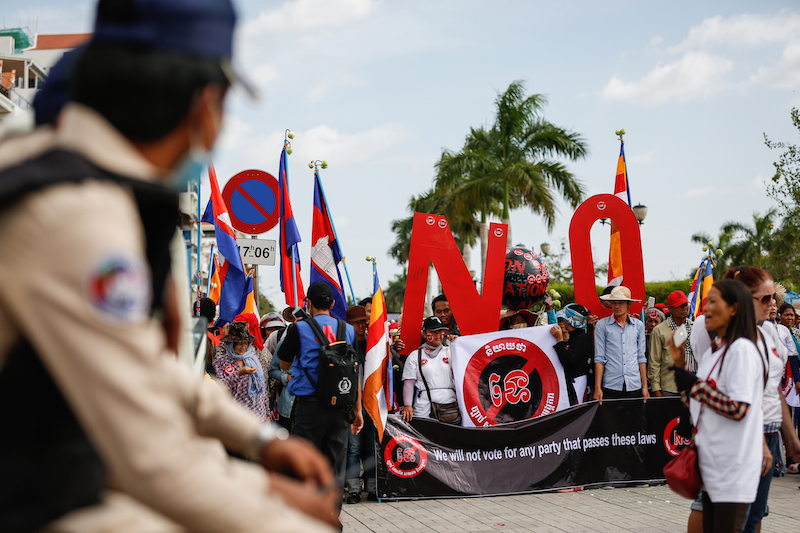 Mr. Sok Hour was arrested in August last year on the orders of Prime Minister Hun Sen after he appeared in a video posted to Mr. Rainsy’s Facebook page, presenting a fake treaty showing a deal with Vietnam to dissolve Cambodia’s eastern border. He has been charged with forgery and incitement to cause social disorder, and repeatedly denied bail. As part of an expansive investigation into recordings posted online in March apparently featuring Mr. Sokha speaking with a mistress, the municipal court twice summoned the deputy opposition leader as a witness in what it described as a prostitution case. 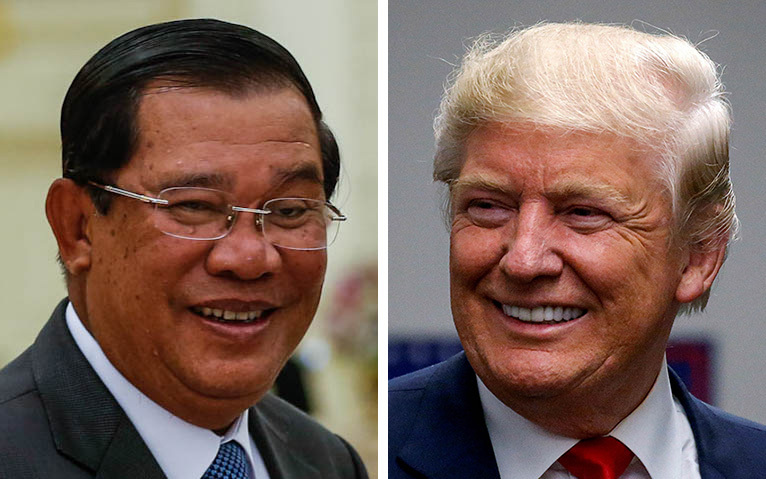 The CNRP has said that Mr. Sokha and other lawmakers will refuse to appear in court in protest of what the party said was a clear violation of legal immunity afforded to parliamentarians under the Constitution. 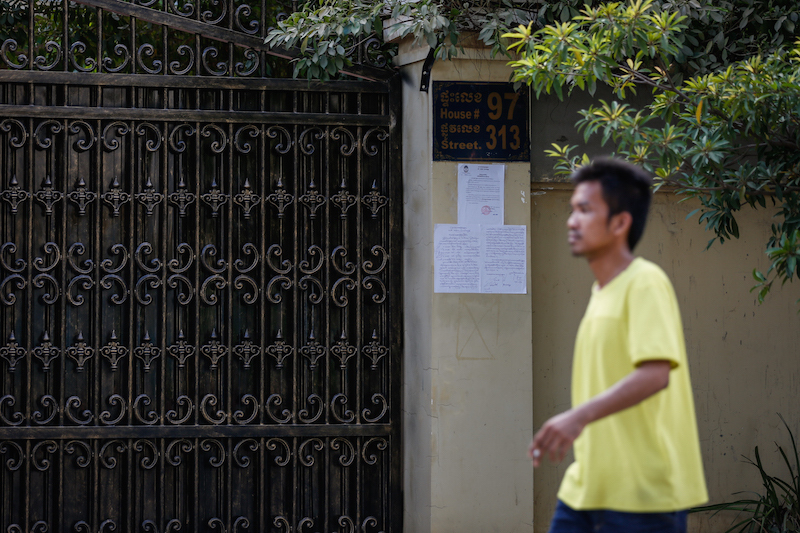 In a letter posted outside Mr. Sokha’s residence in Phnom Penh on Thursday, Investigating Judge Than Leng informs him that he has been charged with refusal to appear in court, and that the investigation into the case was closed. 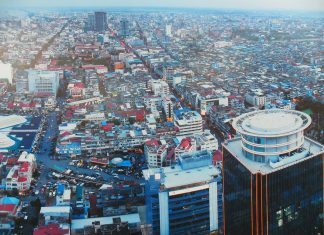 Municipal court spokesman Ly Sophana said the case would now be sent back to the prosecutors’ office for a decision on how to proceed. He said no date had been set for the trial of Mr. Rainsy and his Facebook managers. CNRP spokesman Yim Sovann said the party could not be bothered to respond to legal proceedings against its leaders. Mr. Sovann said the CNRP was still seeking to negotiate with the ruling CPP, and that Mr. Sokha would remain in the CNRP’s headquarters “for safety reasons.” He said the fact that the party’s leaders were abroad and in lockdown was not preventing the opposition from preparing for upcoming elections. Political analyst Ou Virak said the legal harassment was having a definite impact on the opposition, effectively removing its leaders from public life. However, he said the legal cases were also doing damage to the CPP. “It certainly frustrates the young people much more because they are just fed up with current politics,” said Mr. Virak, head of the Future Forum think tank.